Caciotta cheese is pasteurized raw pasta. obtained from the milk of goat breed Girgentana. The soft and elastic. Has a low cholesterol content, in fact, is also indicated in cases of intolerance to cow cheeses. The crust is thin, pale red to violet, due to maceration in wine Nero d'Avola. The soft and elastic. 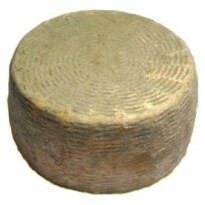 Has a low cholesterol content, in fact, is also indicated in cases of intolerance to cow cheeses. The crust is thin, pale red to violet, due to maceration in wine Nero d'Avola. Fragrant, sweet taste and delicate.